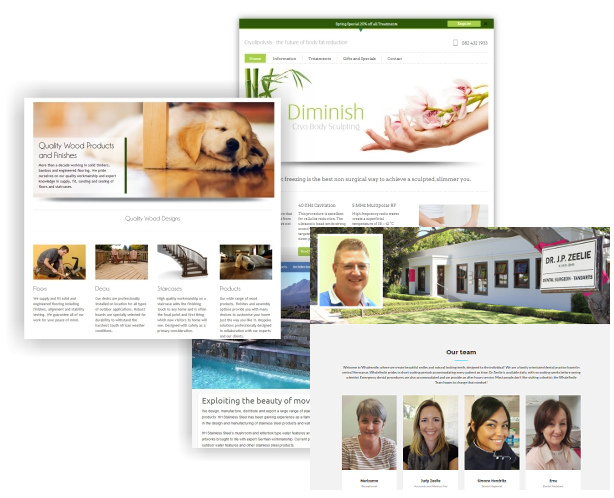 Our small team of web design professionals in Hermanus will give your business the local flair it needs to succeed. Expert search engine optimization (SEO) to rank your site higher and bring in more visitors! As locals to Hermanus, we develop great web designs with a local flair. We also have tons of experience producing sites for national appeal. Fast and friendly web designs. Done by locals, for locals. All our sites include a content management system. This means people of all levels of aptitude can easily manage their own website. So you’ll be able to do changes on your own without needing to pay a designer to do it. It means you can decide when and how you want to work on your site without ever waiting for a designer. If you already have a website, we offer great discounts for moving your site to us and for converting it into a modern content management system.